Welcome to the Automation Sunday Cup 1999! The ASC is a championship where used sports cars, hot hatches, and classics battle it out over a series of endurance races across the globe. How does the ASC work? The ASC is part building challenge and part racing. You may only enter a car, only race with someone else’s car, or both. For the first stage, you may make up to 2 used cars that follow regulations to add to the catalog (see regulations below). For those racing, register your racing team, driver name, and any extra info you like. Once enough cars and teams have entered, I will make a catalog of all of the cars to choose from. Each team will purchase a used car from the catalog (that is not their own). There will be multiples (2-4) of each car so there is more than enough to go around. Each car will be given a modifier to reliability, drivability, and fuel economy that is loosely based on the mileage the car has. These car files will be sent to the teams who purchased them. Not every car made will be bought, so make it count! You will have the opportunity to tune your car’s suspension, tires, gearing, and engine to a limited degree. The car still needs to fit the same regulations when submitted. If it doesn’t meet regulations at this stage or no tuning is submitted, I will use the stock tune. You may also change the color and add a number to the car. It’s racing time! Each car will carry the same modifiers to stats throughout the championship. There is a chance for a car to be damaged in a race ranging from minor to race-ending. Damage will not carry over to other races. There will be 2 winners of this challenge: the winner of the Cup and the maker of the best performing car. I will post some stats at the end that show how each car did on average. Note: This challenge is based on Mr. Computah’s ASCAR series and races will work similarly. Notice: The ASC will allow a wide variety of vehicles, but I reserve the right not to accept memey vehicles, very low-effort cars, and cars with deliberately sabotaged tuning. You are trying to sell your car to those competing in the Cup, so posting an ad for your car is highly recommended! All cars must be from the year 1998 or earlier. Classic cars from the 70’s and earlier are welcome, but keep in mind it will be harder to meet regulations. Family and trim/variant year must be within 10 years of each other (no restomods, extreme time attack versions, general memery etc.) Body unlock year doesn’t matter. Some details like aftermarket exhaust or discolored rims are ok for a used car look, but keep it mostly stock. The price must be under $10,000 with a NEGATIVE 20% markup. No carbon fiber (too expensive anyway). Engines built before 1980 (family and variant) are allowed 98 Leaded fuel with no catalytic converter. If somehow you make a V16 that meets regulations, I may accept it. Anything goes with the drivetrain. No cross-ply tires or semi-slicks. No more than 6 lips/spoilers. Interior must have at least 2 seats with basic entertainment or better. Anything goes for suspension and brakes. Every car must reach these stats or higher. Fuel Economy - 16 mpg (US) (or under 14.7 L/100km). Re-tuned cars must still meet these regulations except reliability, drivability, and fuel efficiency. Fuel economy. Races will be very long. Your car’s fuel economy could mean the difference between 2 pit stops and 6 in a race. Refuels will take 40-60 seconds. All cars will have 15 gallon fuel tanks. Balance: Going full sport meme or econobox might not get you very far. Other factors will greatly effect race times besides raw power. Drivability: Cars with less drivability will force their drivers to be more cautious and therefore, slower. Severe: car is completely damaged, forcing the driver to drop out of the race. Tuning freedom: Keep in mind that the car you are sending in will be tuned by others. A car already pushed to the absolute limit will not give the racing teams much to work with, which could harm its results in the race series, especially if the car is barely making it over the sportiness and drivability limits. Each used car will be given modifiers based on the shape they are in when they are bought. They will stay the same throughout the series regardless of damage. The car’s mileage will hint at how much of an effect they will have. Please read up on the advertising rules before posting your car. You don’t have to send me your ad, just post it in the thread and I will find it. The multiple(s) of your car will have different colors, so if you have a preference for the other colors, feel free to tell me when you send your car file. When you buy a car in Stage 2, the trim and variant will be assigned a number corresponding to its number in the catalog. For example: Model - [ASC - Chickenbiscuit] Trim - [#17 LMC Miro R6]. When you submit your tuned model for racing, do not change the name or number of the car. Send it as is. I’m making a few changes to the tuning rules. Your tuned car no longer has to meet the same level of reliability, drivability, and fuel efficiency as the original cars. I will change the first post to reflect this. When your new used car is sent back to you, you will be able to tune the car to your liking. Your team still only has a budget of $10,000 (@ -20%) for the car. You may not change the trim/variant years on the car. You are allowed to skip tuning and just go with the stock car, though that isn’t recommended. -You may add a turbo (or 2) to an N/A engine, which will replace the exhaust headers. -You may not change the headers otherwise. -You may change the intake. -No other components may be changed, only sliders can be adjusted. -Anything in the Transmission tab can be changed except Drive Type. 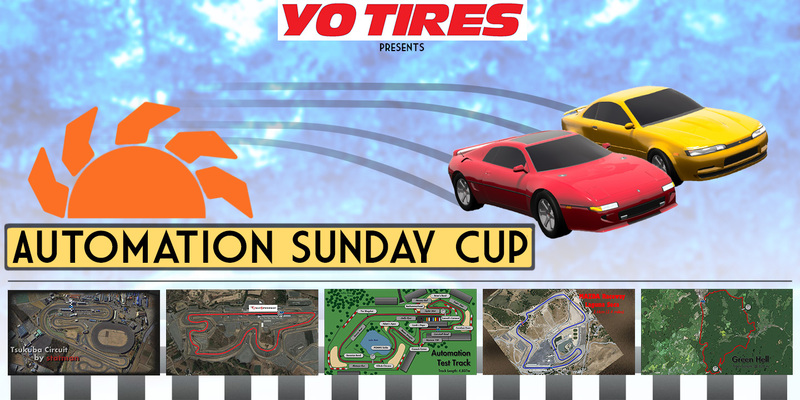 -Anything goes with the Tires, Brakes, Suspension, and Aero sections. -Driver Aids & Safety and Body cannot be tuned. -You can change interior and entertainment as long as it is at least basic. -You may change rims and add/remove spoilers or lips. -You can change the color of your car and give it a number, but do not move existing fixtures besides -spoilers/lips. -Minor cosmetic changes like bigger exhaust, rally lights etc. are ok, just don’t make it a full on race car. -You can’t move any morphs, except wheel arches. -Quality sliders can only be adjusted with the tires, brakes, suspension, and aero sections. Part of the challenge is using your best judgement to choose a car based on the limited information you are given. Therefore, ads will be limited stats-wise to only showing horsepower, used price (-20% markup) or price when new, engine type (ex. Inline-4 turbo) and drivetrain. Your ad should instead rely on your car’s looks, provocative language, and company reputation. Ads that spill the beans on lap times and very detailed stats will disqualify the car. This rule requires a bit of an honor system. Showing off designs and in-progress stuff on discord is fine, but please don’t spoil everything about your car. I realize naming car variants after engine sizes/badging on the car could give away more than whats allowed. That falls under the honor system as I can’t check for everything. To recap: You can show only Horsepower, Price, Engine type and Drive type. For Example: The 1998 LMC Miro R6 is a mid-engine rear-wheel drive car with a powerful naturally aspirated Mirotech Inline 6. It has 272 hp and sells used for $9,947. You cannot get more detailed on your car’s stats than this. You can however play up how good your car is in other ways. For example: The LMC Miro is a raging stallion that tears though every corner with speed and style. Or…I’m selling my 4 year old Miro S6 with a killer I6 turbo and a thicc aftermarket exhaust. Its seen some miles but still drives as good as new. Your ad can be for your car used or new, but keep in mind the car will be sold from a used dealership. Once all of the cars are submitted, there will be multiple versions (2 to 4) made of each car. Each car has been given the modifiers on reliability, drivability, and fuel economy. How much these change the performance of the the car will be loosely reflected in the car’s mileage. Everyone will have one dealership to select cars from. Each dealership will have 6 cars all unique from each other. Some car choices will overlap with other dealers, but each dealership will be unique. Also, your own car will not be in your dealership. I will post the master catalog of all cars and ads for you to browse while I make all the dealership catalogs. I will also post a list of the names of dealerships that you can sign up for the one you want (you won’t know what they are selling at that point though). Use the info from the ad (if there is one) and catalog to make the best choice for your team. Since I am participating and will know all the cars, my team will drive an oddball entry that might be cool, but not fast after everyone else has purchased their car. At the end of the race, all the car models that weren’t bought will do one race to see how they fare against the others. So if your car isn’t bought, stay tuned at the end to see how it does! I will be competing, but I won’t be able to win. A fellow you guys have already seen in a previous racing challenge will show up here really digging this idea! 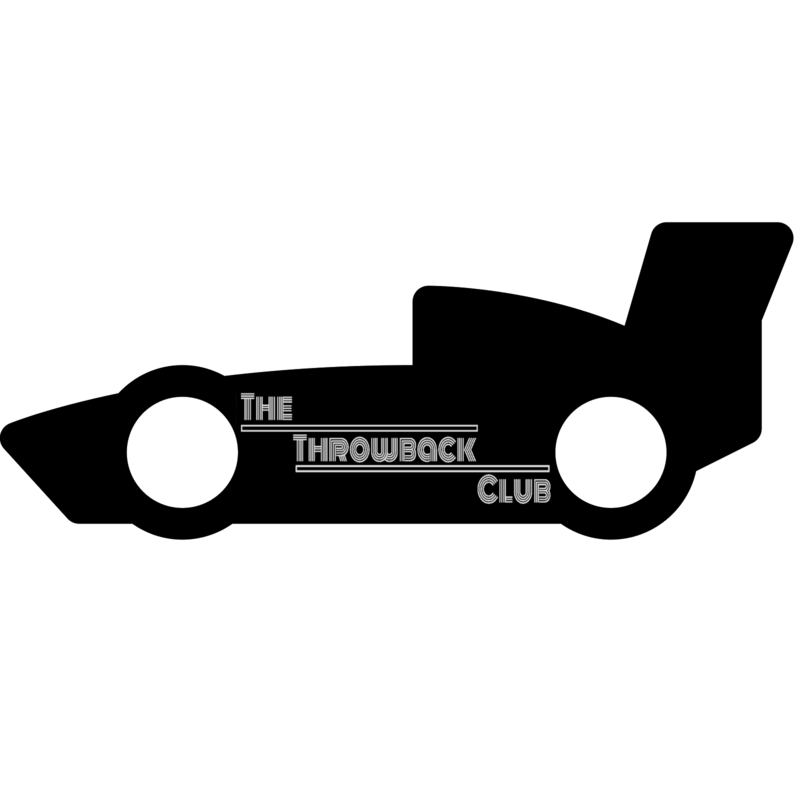 The Throwback Club is an association of veteran race drivers whose days of glory are long gone, but refuse to stop racing and still enjoy a good fight at the track. It was founded by ex-ASCAR driver Oliver Ross and ex-ATCC driver Alejandro Flores in 2012, and has since been a shelter to racers who are forced to retire due to age. Their functions are not only organizing races and track days; they also take care and restore old racing cars and keep them as glorious as they once were at the track. Appart from these activities they also race at short tracks, open races and historical events, having taken some wins home. Oliver Ross is an American ex-race driver and he will represent the Throwback Club in the Automation Sunday Cup. 50 year old nowadays, his days of glory at the ovals of the late 80s and early 90s are long gone, but he never stopped racing, always craving speed. After leaving the ovals of the ASCAR Cup Series, he raced in IMSA briefly from '94 until '98, when he started racing karts until finally retiring for good after a final season for Maine Motors in the Automation Motorsports World Endurance Championship in 2015. 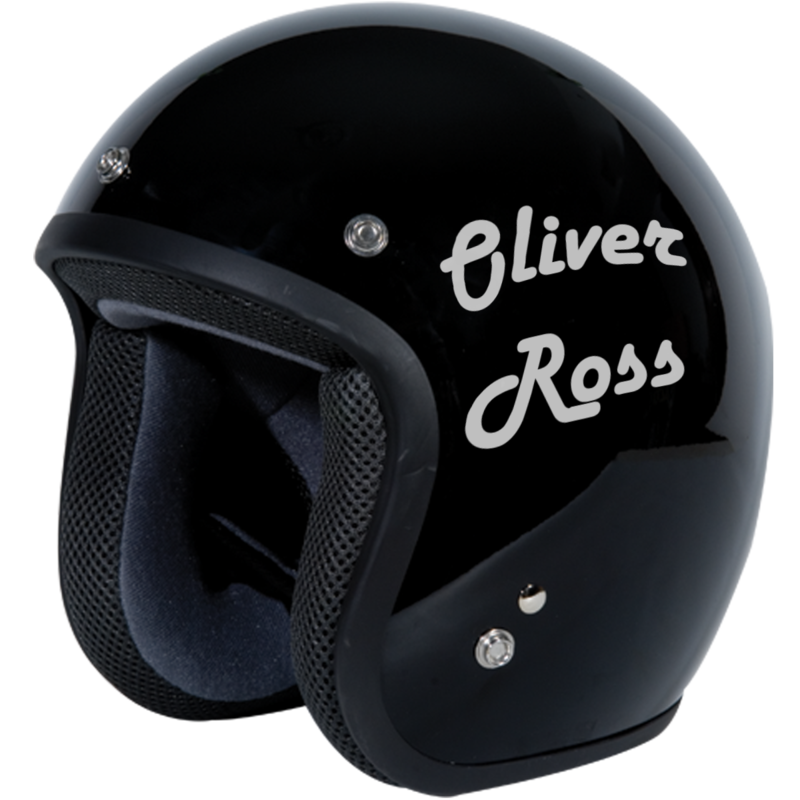 Oliver Ross and the Throwback Club wish every team and racer good luck and good racing! I remember Gran Turismo 1 , 2 ,3 and now we can make part of Gran Automatismo. Sounds very interesting, I think that I’ll join. I’ll try building a car at least. So I’ve made some adjustments. Mainly tuning regulations are more loose than before. Turbos can be added, seats can be removed, tires can be changed, all as long as it still fits the regulations and price. There is a boost limit to help prevent overpowered turbos. Also safety requirements are more lax the older the car is. Also fixed some of my horrible typing. Anything else you think I should change, or do you disagree with any changes made already? I really like the concept, i just have a few questions. We can adjust the powertrain. This is very confusing to be honest, we can’t change brakes but we can change the cars from RWD to AWD? you can’t Change it all visually. Again, can I ask why? Wider arches are a common thing for wider tires. Oh I meant to change the brakes. Will add that. You can’t change the drive type (AWD,RWD), just gearing etc. And with visuals, I guess it makes sense to allow wheel arches, I just don’t want people to alter their cars beyond recognition. You haven’t mentioned anything about billet steel cranks or titanium rods, both of which require a CNC shop. However, they are so expensive (in terms of PU and ET) that it might make more sense not to permit their use, and besides, back in 1999, it was unlikely for most cars (except exotics) to come equipped with them anyway. Also, 10k with 20% markdown equates to $12,500 with no markups. Because of the relatively strict price limit, I assume the higher end parts won’t really see much use anyway. So that means if I create a car and my car starts at 1995, that means I should make the trim/variant that I should is at 2005. Am I correct? No, the trim has to be 1998 or earlier. You could make a car that starts in 1985 with the trim and engine variant at 1995 for example. I have another question. I think the price is too strict. How about making the price limit $16000 with negative 30% mark-up? Sorry, but I don’t want to go any higher. It seems higher the price limit, the more uneven the playing field gets. With $16,000 with -30% markup, that’s easily getting into supercar territory. OMG! I have so many questions just because I’m confused… Do I really need to put the trim/variant 10 years apart from the original model year? I’m sorry I must’ve misunderstood the question. You can have the trim and variant the same year as the model if you wanted. They can be any year as long as they’re within 10 years of eachother. God, this is so hard to fit in that price range. I might as well participate with other people’s cars. But where can I ask for the car? Is it time to unreal-ize the KHT Tsukuba now?